In response to his granddaughter's request, this week have been profiling William Luttgen, who participated in four Vanderbilt Cup Races as a driver and mechanician. In Thursday's post, I described Luttgen's background growing up in Germany and his successful drive in the 1904 Vanderbilt Cup Race. In Friday's post, Luttgen's mechanician role in the 1905 Vanderbilt Cup Race was detailed including how he ended up on the front page of the Brooklyn Daily Eagle. 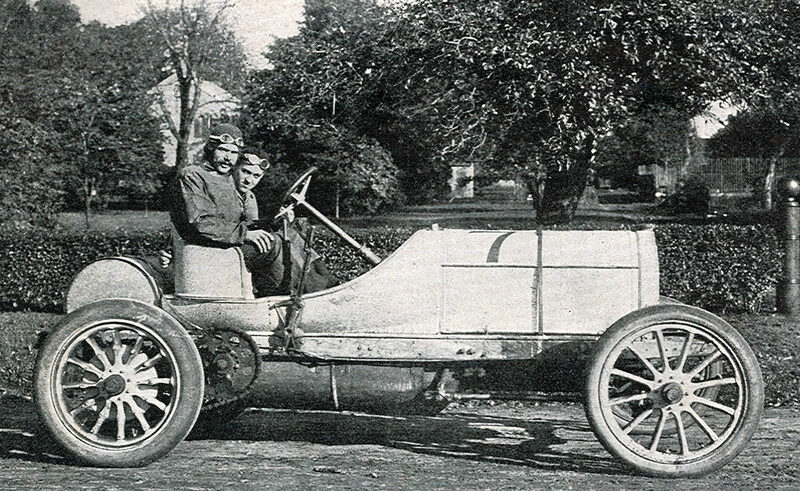 Today, the focus is on Luttgen's return as a driver in the 1906 Vanderbilt Cup Race. Three Mercedes were entered for the 1906 race. However, one week before the race, the Parisian company, which owned one of these 120-HP cars, put it up for sale. William K. Vanderbilt, Jr. had serious thoughts of purchasing the car and driving it in the race. However, after practicing on the course with the car, Willie K. abandoned the idea on advice of friends and, likely, his wife. The car was purchased by pharmaceutical magnate George McKesson Brown of Lloyd Harbor who selected William Luttgen as his driver. 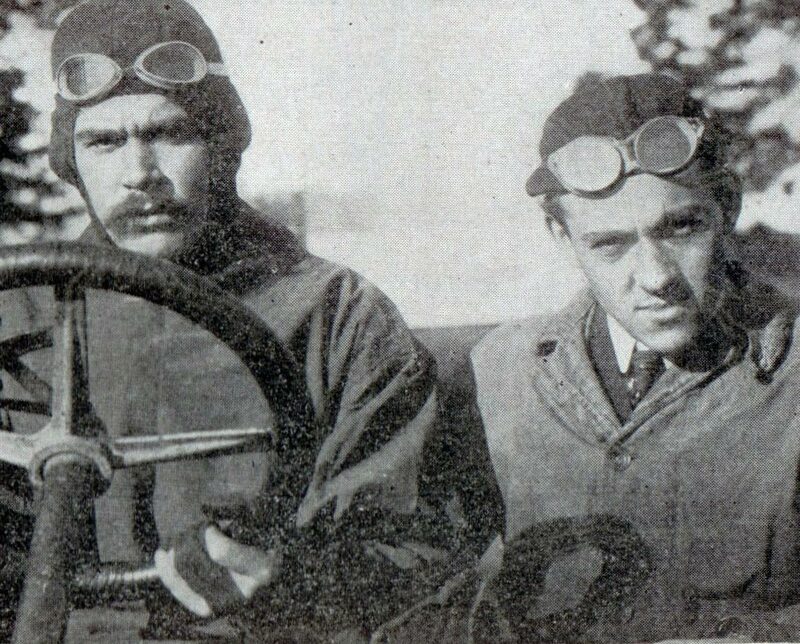 A close-up of William Luttgen and his mechanician Joe Marx preparing for the race. Luttgen in the #7 Mercedes making the Hairpin Turn in Old Wesbury. Note how close the spectators are to the car. 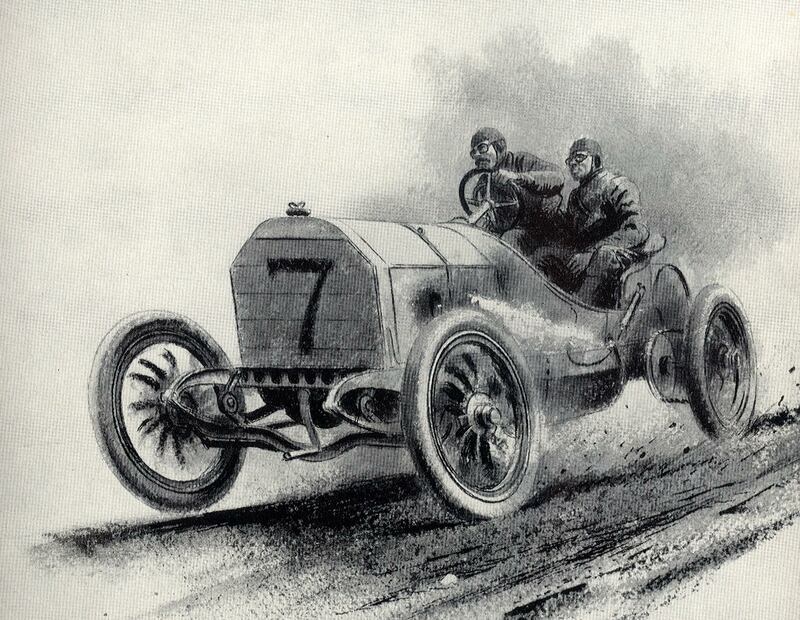 Luttgen was captured in the 1906 race by the great artist Peter Helck. Luttgen's #7 Mercedes can also be seen in the 1906 film of the race. 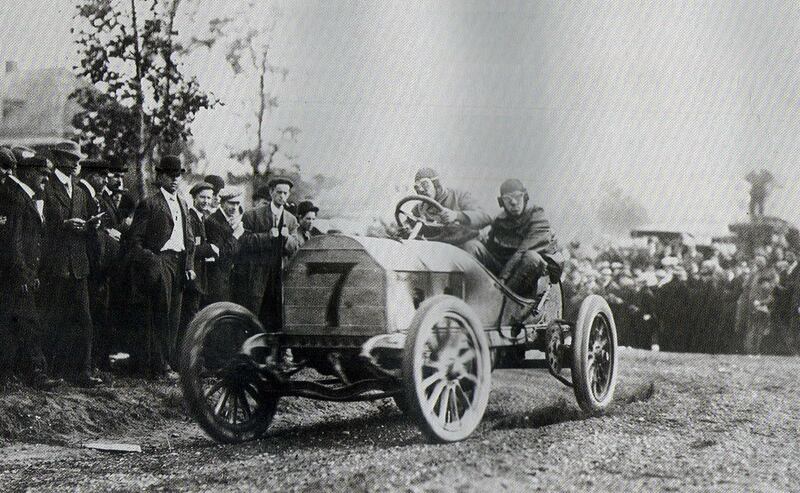 When Louis Wagner's French Darracq was declared the winner, Luttgen's Mercedes was still running on the course and finished 11th of the 17 entries.